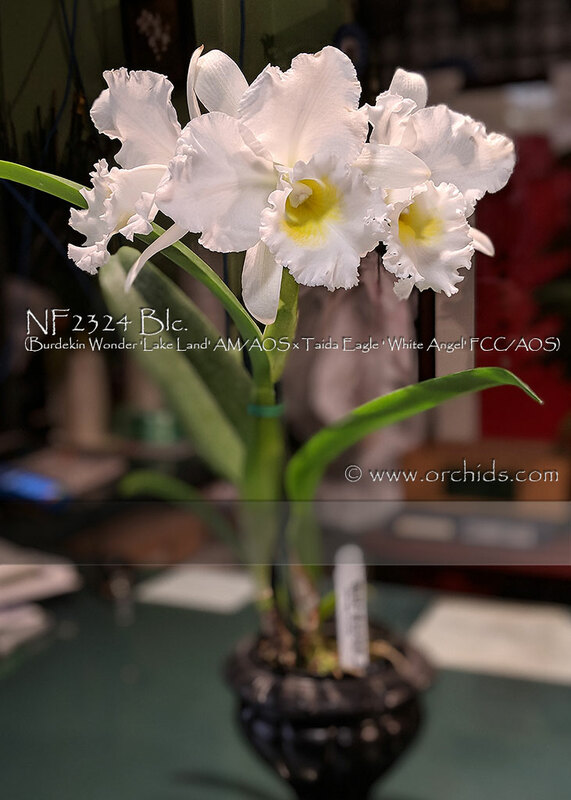 A ‘Wonder’-full opportunity to obtain a rare large white Cattleya bred from two exceptional parents ! 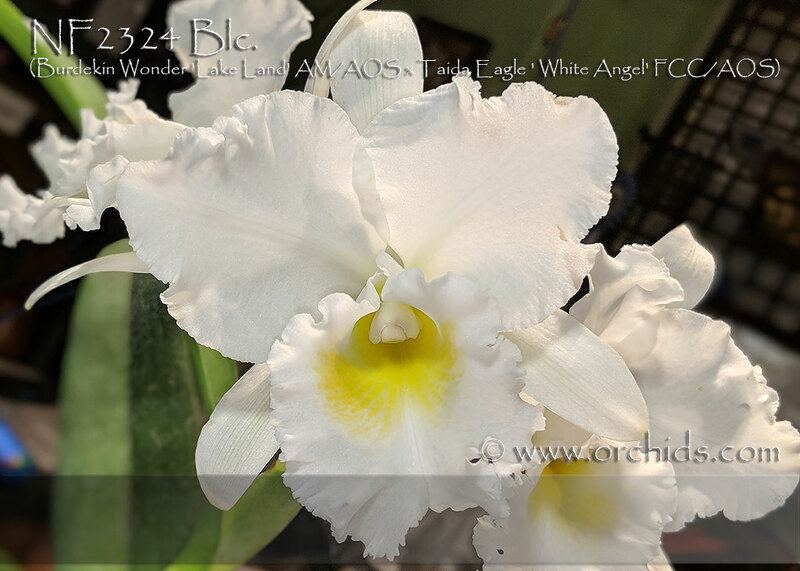 Its two highly awarded parents produced flowers reaching up to 18cm in size, both bearing pleasingly ruffled petals and lips, the lips beautifully accented with yellow to gold. 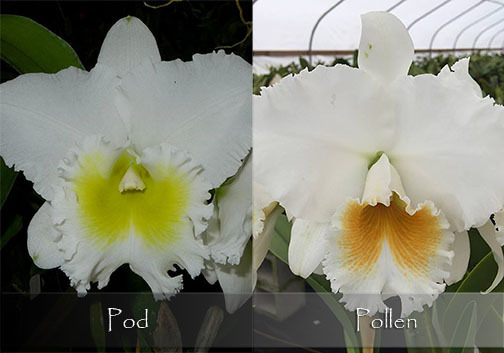 Capable of producing up to four large flowers per inflorescence, this seedling population has a lot of the influence of C. Bob Betts in its background, so they’re very compact growers for this type of breeding. Highly Recommended !